Twice in the past week, I have been asked whether I was still doing genealogy presentations. Easy answer to that: definitely yes! I have been entrenched in a couple large research projects and thus have been pretty quiet on social media in recent months compared to earlier. I have now updated my presentations calendar and can still schedule more presentations for 2019 and into 2020. My topics, descriptions of those, and my scheduled presentations are listed under the Speaking tab above. If your organization would like information on details and costs for single lectures, workshops, or full-day seminars, please contact me at PaulaStuartWarren at gmail.com. I hope to see many of my readers in the next few months at presentations in Owatonna, Minnesota; Mason, Ohio; Burbank, California; Hudson, Wisconsin; and Pittsburgh, Pennsylvania. Debbie holds a certificate in paralegal studies. Debbie and I are joined that week by two other fantastic instructors, Karen Mauer Jones and Melissa Johnson. Learn more at https://www.gripitt.org/courses/digging_deeper/. We still have some seats available. In May, those registered for this course will receive a special offer with details about having one of their brick wall research issues discussed in class. The tips and clues received during the discussion furthers the research and just might solve a long-time problem. Please feel free to share my post with others who may be interested in the course or Debbie’s series of laws posts. This past Friday’s news release from Findmypast excited me because I have much of my Scottish ancestry in Forfarshire including Brechin, Arbroath, Farnell, Craig by Montrose, Lunan, and Forfar. These are places connected to the ancestral families of my ancestor Helenor Edward who married James Stuart. Their son Alexander Charles Stuart was born in Arbroath in 1847. Helenor was born in Brechin in 1819. Other surnames are Allardice, Leighton, Jap, and Niddery. Of course, the spelling varies on all of these. Now to find time later this week to work in this set of records! Need more excitement? 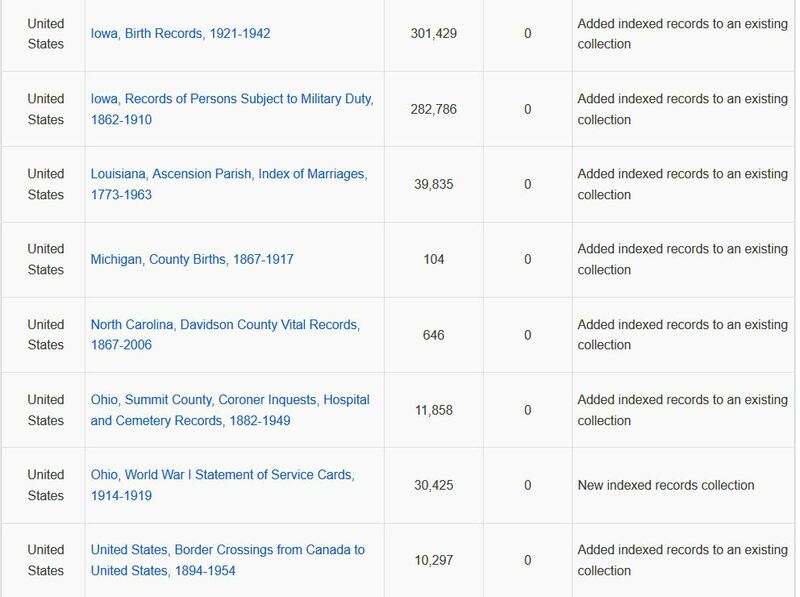 7.1 million addition to the U.S. obituary collection and 18,000 article entries added to the PERiodical Source Index (PERSI). Have fun checking these and other items at https://www.findmypast.com/. $59 instead of $99! Order now to take advantage of this 40% savings! Just in time for St. Patrick’s Day and finding out about your Irish heritage. *Offer ends March 18, 2019 at 11:59 p.m. ET. Excludes taxes and shipping. I’m trying to wrap my mind around what it must take to continually find, post, explain, double check, and then do updates as a website changes so that CyndisList keeps going for 23 years. Then Cyndi Ingle gets to spend hours delving deeper into many website to find things we can’t find via simple searches on our favorite search engine. 23 years! I have seen Cyndi at work and it still amazes me. I have some suggestions about how we can help her celebrate doing all this for us. Submit a new link to something that will truly assist someone in their family history quest. BEFORE submitting, be sure to check to see if she has already linked to that website or something within it. Find a broken link while using the list — submit a correction. Help keep CL going by making a contribution to help cover the expenses of the website, tech support, site hosting, tech support, and domain registration. She lets us use CL for free but all this comes out of her pocket unless we pitch in once in a while. Now, how do you contribute or submit a link or update. That’s easy. Visit https://www.cyndislist.com/ and all the help is right there! I am returning to the Brainerd Lakes area to present a full day of genealogy and it’s a free day of learning! It’s not at the library this time, but at Arrowwood Lodge in Baxter which has a larger meeting room. Please join me there! The Brainerd Public Library is holding a day of free genealogy workshops to help family historians with their research methods and finding resources. On Saturday, March 16, at Arrowwood Lodge in Baxter, the library will host professional genealogist Paula Stuart-Warren for two sessions open to all area residents. Paula Stuart-Warren, CG℠, FMGS, FUGA, is an internationally recognized genealogical educator, researcher and consultant focusing on unusual resources, manuscripts, methodology, and analyzing records. Her lecturing experience includes the Federation of Genealogical Societies and National Genealogical Society conferences and seminars in many states and Canada. 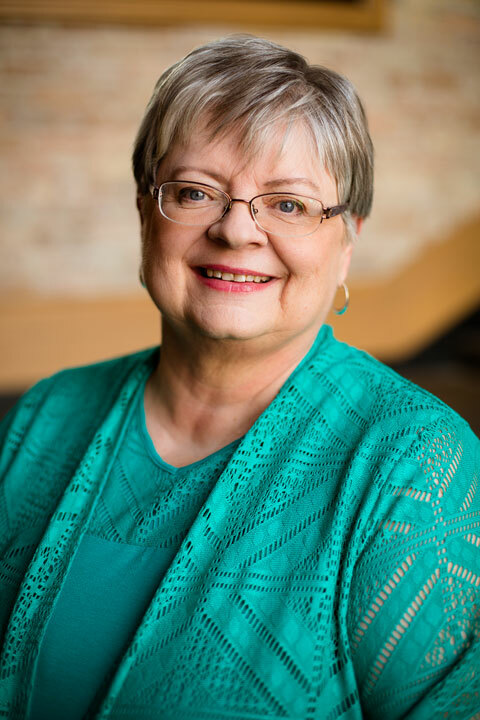 She has served on the Board of Directors of the Federation of Genealogical Societies, the Minnesota Genealogical Society (MGS), and is a former officer of the Association of Professional Genealogists (APG). Her ancestors came to the U.S. from eight ancestral countries. Those interested may attend one or both sessions. Registration begins at 9:30 a.m. outside the Sands Ballroom on the north end of Arrowwood Lodge Brainerd Lakes. Attendees may bring their own packed lunch or purchase a meal at the on-site Baxter’s Bar and Grill, where a short pre-order menu will be available. This free Legacy Program is funded in part or in whole with money from the vote of the people of Minnesota on November 4, 2008, which dedicated funding to preserve Minnesota’s arts and cultural heritage. Register by calling the library at 218-829-5574 or visit the library’s Facebook page for more details: www.facebook.com/brainerdpubliclibrary. More records from Judge Isaac Parker aka the “Hanging Judge” to be available. You might be asking why a woman in Minnesota would be interested in the records of this well-known federal judge from the Western District of Arkansas in Fort Smith. The National Archives in Fort Worth has a giant collection of his records and today they can be viewed on Ancestry. It’s an easy, but partly sad, reason. My children and grandchildren have ancestors who appeared before Judge Parker. My father-in-law was born in Arkansas and before his parents were even married, his father had the “opportunity” to appear in Parker’s court. The reason? Altering $! silver certificates to make them $10 and apparently not too well. Michael Warren was not hung, or else my descendants wouldn’t be here today! He was sent to prison in Michigan. I’ll save the rest of that story for a future blog post. Oh, he wasn’t their only ancestor or relative to appear before Parker. Again, stories for another day. Read the fascinating full story in the Arkansas Democrat Gazette.